Salmon gets cooked only on the rare occasion in our household. It's one of those things that I'm totally aware is very good for me, but that I can't bring myself to make and eat very often. Even then, when we do have salmon, it's most likely raw atop a lil' bed of sushi rice, mmmmm. 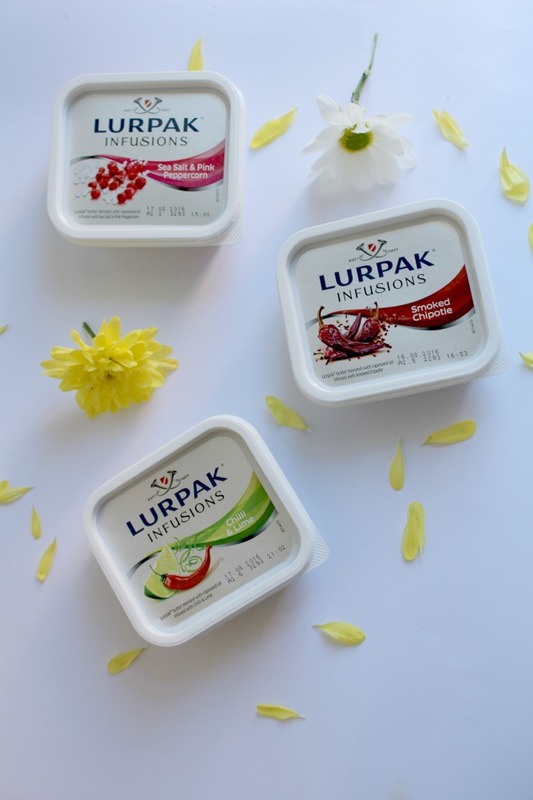 But, when Lurpak invited me to try their new range of infused butter, I knew the chili and lime flavour* had to be tried on a nice piece of salmon. I've always been a much bigger lime fan than lemon, which is the more classic addition to any fish seasoning. Usually I spend a bit of time adding olive oil, salt, pepper, lemon juice (sometimes it just feels right) and parsley, but with this I simply dolloped a teaspoon of the infused butter on top of the salmon and we were ready to get cracking in the oven. The chili added a nice kick of heat to something that otherwise may have been overtly fish-y, and it is definitely something I would give a go again. I served mine over brown rice with cabbage, but there are so many other ways this could be served. Next time, I'm thinking a salmon pasta dish will be really tasty with the chili and lime! If you're a little lazy in the kitchen, or don't have the time to season your salmon with care, I would recommend giving this a go to please guests or the family. Method - Preheat your oven to 180 degrees (Celsius) - Place a fairly large piece of foil on a baking tray. 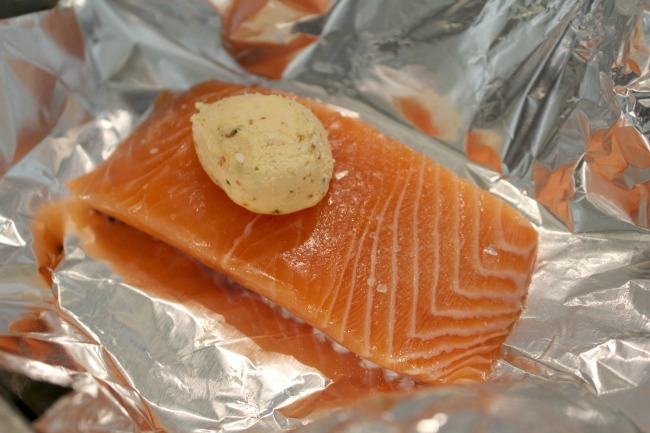 - Pop the salmon on the centre of the foil and place the butter on top of the salmon. 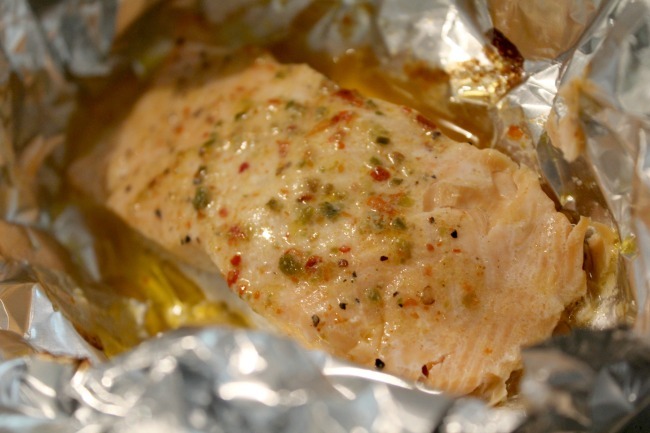 - Bring the edges of the foil together over the salmon and lightly scrunch. - Cook in the oven for 20-25 minutes. - Unfold the foil and enjoy! Although this post features gifted products, all opinions are as always my own. I don't cook salmon very often, but it is such a tasty fish dish.